Optimized content creation crafted to attract, convert and sustain your credit union website's visitors. At its heart, your brand is a story – the promise you make to your members. It takes talented content marketing and a strategic content creation plan to define that brand, distinguish it from your competition, and compel members to take action. Credit union websites with rarely-updated, aging content leave little reason for members to return. Visitors need to have a reason to come back to your site. They want relevant information that speaks in their terms. They’re looking for help to make a decision on a loan, an investment or possibly how to get out of debt. Content creation designed to optimize conversions, increase traffic, and drive growth. We provide high-quality content that helps your members understand your credit union's value, increases your reputation among competitors – and generates more leads. Content marketing doesn’t necessarily have to be words on a page. It can just as easily come in the form of a video on YouTube or an educational blog article. It can also be in the form of product wizards, quizzes, infographics and much more. Increasingly, web visitors are choosing non-textural content such as visual or audio, slide presentations, infographics and more. Let’s talk about your content development needs and devise a plan together that meets your marketing goals – and your budget. 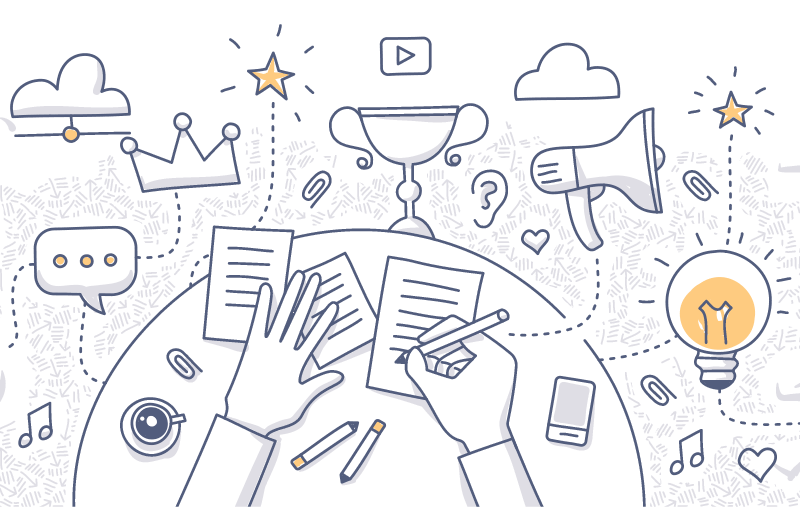 As the adage goes, "Content is king," and it’s just as true today as it was decades ago.